A recent report by the FCC on the results of October’s nationwide IPAWS test spurred us to review where we are with Wireless Emergency Alerts – and where we’re going. The one line update: Important to have now – still somewhat flawed – but getting better and better. 1) The results of the October 3 test demonstrated that IPAWS can be an important delivery method but showed much room for improvement. The FCC concluded that about 72% of respondents got the WEA test message, although the methodology they used was not described very well. Apparently the FCC was able to determine that some carriers didn’t even send the message, while not all users received one in areas where a carrier did send the message. There’s even a report of one guy with two phones who got the message twice on one phone and none on the other. The FCC report didn’t say anything about how long it took for the message to be delivered, but it’s worth noting that they had provided earlier guidance that it could take up to 30 minutes for the message to be delivered. 2) Following the test message, there were reports on the west coast that many mobile users lost access to the phone network. “…after [the test message] I lost all internet, Gmail, apps — everything stopped working,” one user reported. We’re inclined to believe AT&T that this was a freak coincidence, but it’s not the best PR. 3) Regardless, 70ish% is still a lot better than what calls to landlines would result in – at least for many emergencies. That’s because we’re at the point where just over 40% of households have a landline phone at home, and many calls to landlines wind up on the answering machine. 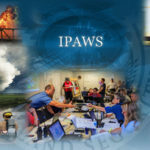 So IPAWS is important – NOW. 4) Let’s take the flaws and improvements together. First, there’s the message length, currently set to 90 characters. That’s supposed to go to 360 characters by May of 2019. While there’s a best practices report out that says you should have over 1,000 characters for emergency messages, 360 is a huge improvement over 90, especially since you can now include links to webpages, which can contain images, more text, etc. 5) The second flaw getting fixed is the geographic targeting of IPAWS, which can be pretty poor. Current targeting can be off by up to 20+ miles, even though the FCC requires that carriers use a “best approximation” standard. Under new rules which go into effect in November, targeting will be expected to be no less accurate than 0.1 mile. But this level of precision will be dependent on logic in the phone, so the impact of that November deadline is likely to be felt gradually as people get new phones or software upgrades to their existing phones. 6) The third flaw being addressed is the whole area of alert quality, which includes false alerts, like the infamous Hawaii example, expired alerts that need to be cancelled, alerts that cross jurisdictions or go to the wrong areas, and other general user errors. Here, there are no specific rules in place yet, but there is much activity in Congress and elsewhere to provide fixes. In particular, FEMA has estimated that they’ll have a new set of rules in place by October to motivate both Alerting Authorities (that’s you) and software providers (that’s us) to do more training, testing and error prevention. And since FEMA has already indicated the kind of changes they’re looking for, Hyper-Reach has either already implemented or is hard at work implementing the expected changes. So while IPAWS has its warts, it continues to develop in the right direction. And that’s critical, because it’s the only technology so far with a reasonable chance of getting a highly targeted message to a majority of citizens under threat of an emergency.